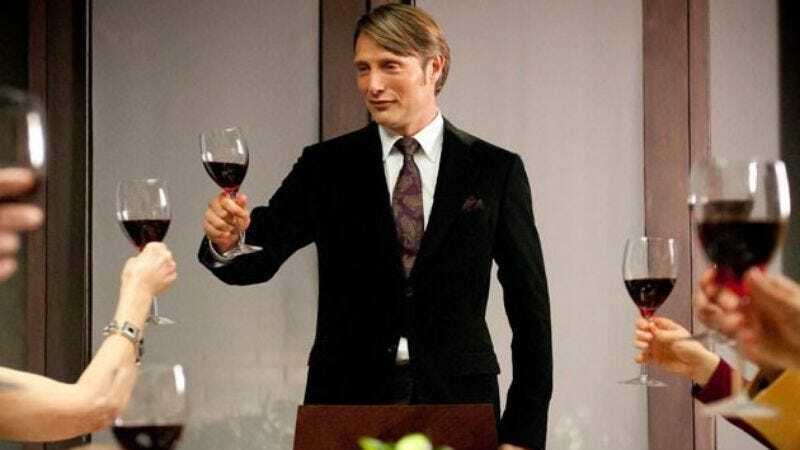 Whereas the first two seasons of Hannibal kicked off in April and February—the times when a young man’s fancy lightly turns to thoughts of love, and thoughts of how to cook and eat that love—NBC is changing things up this year. The network’s Robert Greenblatt announced today at the TCAs that the series’ third season will debut sometime this cruel summer, at a date yet to be announced, which could bode well for Hannibal’s chances to flourish among the lower-pressure summer ratings. It could also bode just as well for chances of ads featuring a swimsuit-clad Mads Mikkelsen barbecuing people at the beach. “It’s a show we love,” Greenblatt said, just looking at things and saying he loves them. “And we also love summer.” And what better way to spend those lazy summer days than with a tense psychodrama?